The S600 network time server is purpose built to deliver exact hardware based Network Time Protocol (NTP) timestamps. The unparalleled accuracy and security is rounded out with outstanding ease-of-use features for reliable network time services ready to meet the needs of the user network and business operations today, and in the future. Secure, precision network synchronization and accurate time stamping across distributed systems are critical to a wide range of enterprise IT markets for regulatory compliance, data analysis, data logging, auditing and many other applications. In high frequency trading markets, for example, recent financial regulations like ESMA's MiFID II directive mandate more stringent than ever level timing accuracy and time stamp granularity. As financial markets and market participants are highly interconnected, these regulations have a ripple effect on market participants worldwide. Never has it been more important to choose a network timekeeping architecture, such as Microsemi's SyncServer S600, that will be accurate, reliable, and compliant to the new MiFID regulations and forthcoming SEC requirements. The four standard GbE ports, and optional 10 GbE ports, all combined easily handle more than 10,000 NTP requests per second using hardware time stamping and compensation. All traffic to the S600 CPU is bandwidth limited for protection against denial-of-service (DOS) attacks. For significantly more robust and secure NTP time server operations, enable the security-hardened NTP Reflector with 100% hardware-based NTP packet processing capable of 360,000 NTP requests per second. 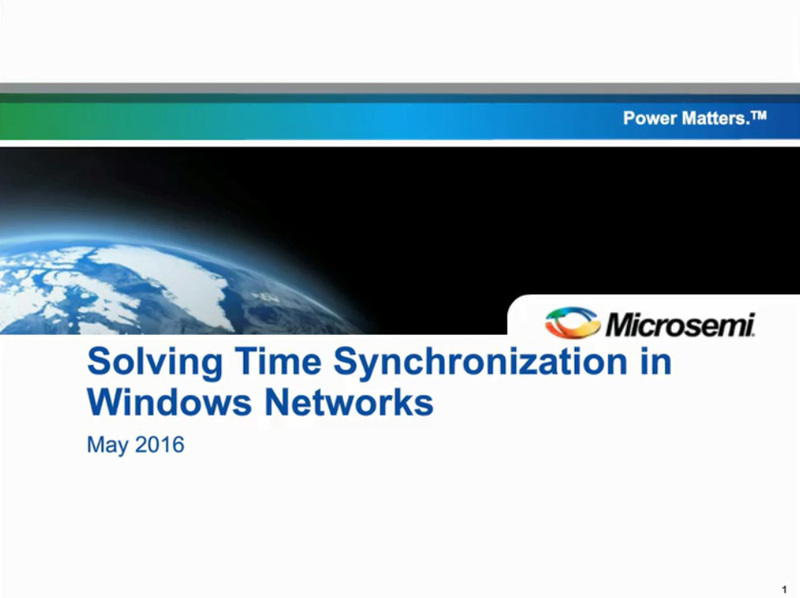 As always, a SyncServer S600 is a much more secure network timing synchronization solution compared to windows time servers, NIST time servers, public NTP servers, or free internet time servers in general. A dedicated NTP time server like the SyncServer S600 behind your firewall and under your control is a very secure, accurate and reliable NTP solution. Applications demanding precise time accuracy can benefit from the IEEE 1588 Precise Time Protocol (PTP). The S600 IEEE 1588 PTP output license enables PTP multi-port/profile grandmaster operations leveraging the built-in hardware timestamping on each LAN port of the S600. In addition, the IEEE 1588 PTP Input option enables PTP to be a timing reference just as GNSS is a timing reference. The PTP Input option when used as a back up to GNSS is ideal as it calibrates the PTP path to and from the PTP Grandmaster to remove fixed asymmetric path delays for a more accurate PTP slave operation. The Stratum 1 level S600 derives nanosecond accurate time directly from the atomic clocks aboard the GNSS satellites. By using an integrated, 72-channel GNSS receiver, every visible satellite can be tracked and used to maintain accurate and reliable time. Even in urban canyon environments where direct satellite visibility can be limited, manually inputting the position can be sufficient to acquire accurate time even from a single intermittent satellite. Timing integrity, satellite signal continuity, and timing reliability can be improved with the Multi-GNSS constellation license that adds support for GLONASS, BeiDou, and SBAS constellations in addition to the standard GPS constellation. With more satellites in view, timing performance can be improved in challenging environments, such as urban canyons. All SyncServer S600 NTP time servers ship with GNSS hardware ready to be enabled with a software license. The 72 channel GNSS receiver, coupled with Microsemi's patented Active Thermal Compensation Technology, provides best-in-class time accuracy of <15ns RMS to UTC. Backstop this with a durable hardware design subjected to severe shock and vibration testing, and high reliability components that extend the operating temperature range to a very wide -20DegC to 65DegC. Further choose the dual power supply option with SNMP trap enabled monitoring to avoid time service interruptions. As with all Microsemi NTP time servers, upgrading to a high performance oscillator such as a Rubidium atomic clock, keeps the S600 accurate for a long time in the event of a GNSS service disruption. The S600 has four dedicated and isolated GbE Ethernet ports, each equipped with NTP hardware time stamping. Optionally, two additional 10 GbE SFP+ ports can be added for a total of 6 LAN ports. These are connected to a very high-speed microprocessor with microsecond and nanosecond accurate time stamps to assure high-bandwidth NTP performance. This more than meets the need of servicing 10,000 NTP requests per second. The modern web interface is the primary control interface for the S600. Once the keypad and display are used to bring the unit online, complete status and functions are easily found via the well-organized left side expanding/collapsing navigation menu. At-a-glance dashboard presentation combined with logical organization and intuitive controls make configuring the S600 quite easy. All of the expected network management protocols are standard in the S600. These include mandatory password access, HTTPS/SSL only (using the high encryption cipher suite), SSH, access control lists, service termination, SNMPv2/v3 and NTP MD5 authentication. All traffic to S600 is bandwidth-limited for protection against the DoS attacks. Custom configure your own S600! my.microsemi.com is the Microsemi User Extranet portal that hosts the S600 Configurator. Simply register now for immediate access or login. Click here to access my.microsemi.com Extranet.